“I don’t give a damn if we agree about climate change” – this is how a post on Arnold Schwarzenegger’s Facebook page opened up yesterday, one day before his talk at the COP21 climate summit. We don’t have the time to debate and convince everyone, as every day, as 19,000 people die from pollution from fossil fuels. “Do you accept those deaths? Do you accept that children all over the world have to grow up breathing with inhalers?,” he continued. “Besides the fact that fossil fuels destroy our lungs, everyone agrees that eventually they will run out. What’s your plan then?.” Today, the former governor of California pushed that message even more, saying that the world has to unite in tackling climate change – and not point fingers. “The whole world is (asking) China to produce their products so therefore we’re basically sending all the pollution to China and so now they have to deal with it and we all have to work together with them. It’s not like finger-pointing (at China) or like ‘them versus us,’ it’s more like ‘how can we do this together? '” he said. Arnold expressed his views at the “Five Year Vision” launch, a move that hopes to align local actions and commitments around collective ambitions by 2020, thereby making rapid urbanization and regional dynamics an opportunity for massive change with environmental, health and economic benefits. 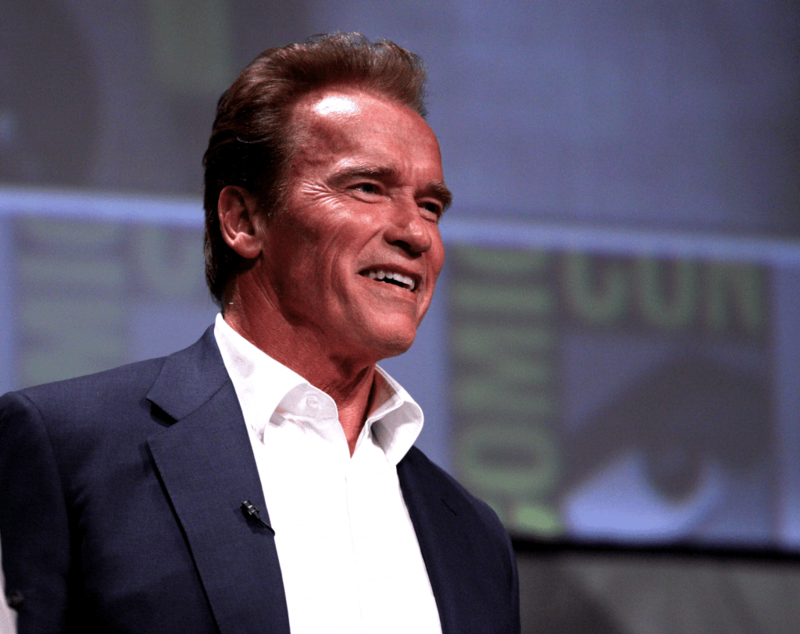 Schwarzenegger remains one of the very few Republicans who supports movements to fight climate change. While discussions regarding a climate agreement seem to have stagnated in Paris, social pressure grows more and more, pushing for a deal. In particular, China and the US are expected to sign the deal as the two largest polluters in the world. The US has long pointed its finger at China, rejecting such a pact due to China’s actions, but now, the tables could finally turn for the better. An initial draft has already been put together a few days ago, but since then, there was no report on any progress. The conference will last until Sunday, 13 December. In an interview with the BBC, the former governor went on to discuss what each of us can do to protect the planet – most notably: eat less meat! Farming creates an estimated 28% of global greenhouse gases, but asking people to go full-time vegetarian is too demanding and impractical. What he suggests, instead, is just giving up meat one or a few times a week. Eating meat is much more demanding on the environment. Producing 1 kg of meat protein takes in between 3 and 10 kg of vegetable protein – notwithstanding the land and water use, as well as the massive emissions caused by producing meat.